Loads of coloring fun and faith for little ones! Children can now color to life more than sixty favorite Bible stories and characters from The Beginner's Bible. After coloring, the pages can be displayed to encourage creativity and memory of the classic Bible stories. 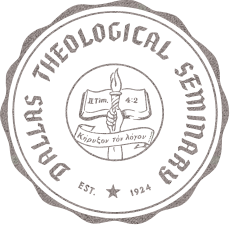 Bless my socks! Dance and sing! This little baby is God's High King! Join Brown Cow, the shepherds, and the wonderful welcoming people of Bethlehem town in this Christmas celebration. Based on the Luke 2:1-20, this biblical story is set in a traditional middle eastern home. When Jesus wanted to change lives he told stories. Some stories are about him, some are by him, but all of them point to him. 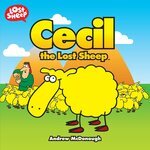 The creators of the Lost Sheep series take the spirituality of children seriously but also believe the Gospel is fun. This series assists parents, teachers, and children's workers in building the faith of children all around the world. 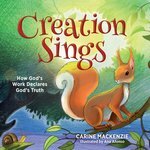 This children's collection of Bible stories is brimming with bright and engaging illustrations. The fun never ends with this colorful collection of more than 250 stickers bringing 5 exciting Bible stories to life. Keep your children engaged for hours as they mix and match these stickers to depict the birth of Jesus, the story of Joseph, Noah's Ark, and more. These vinyl stickers are completely reusable. Your child can place them on the brilliant Bible backgrounds over and over again--they will continue to stick, creating new scenes and stories each time. The possibilities are endless. Best of all, you won't have to spend time scraping stickers off furniture, floors, and yes, children! This durable book comes with a kid-friendly carrying handle so the sticker fun can travel everywhere you go--keep it in your car or take it with you on a trip. 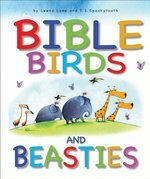 Be sure to get the companion book featuring Bible animals for even more never-ending sticker fun! On Easter morning, as parents watch their children scurry about the yard, looking for Easter eggs, many feel a disconnect between the legend of the Easter bunny and the real meaning of Easter. 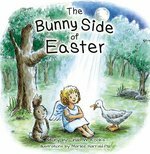 The Bunny Side of Easter fills the gap, taking children on an exciting and charming adventure with hints of allegory that point children to the true significance of Easter. The Bunny Side of Easter is an exciting adventure about an ordinary rabbit whose act of heroism makes him the Easter bunny and the rabbit on the moon. Lost in a forest on Easter eve, a mischievous rabbit, a plucky duck and a playful monkey face a fearsome tiger. Can they save themselves and the little angel who was kind to them? Will the angel discover the truth about her power? A tale of fears faced, friendships gained, and faith discovered. Listen as the heavens declare the glory of God. Watch as the sky above proclaims his handiwork. (Psalm 19:1) And Learn from the one true God, as his work shows you who he is and what he is like. Powerful, Creative, Just, Merciful. Creation sings about him! God's work declares God's truth! Each day of Creation links in to Old and New Testament stories that teach us more about God the Father, God the Son and God the Holy Spirit - the Creator. God created us to enjoy and learn from stories, even from a young age. The new Creator's Toy Chest series brings beloved Bible stories to life for young children with vivid illustrations, youthful characters, and rhyming text perfect for reading aloud. Kids will be thrilled to read about the creation of the world in The Creator's Toy Chest, the faith of Noah in An Ark in the Dark, the courage of a young David in Big Shot Sling Shot, and the integrity of Daniel in Dan for Dinner. The fun, memorable rhymes will draw readers in to the world of the Creator's Toy Chest and engage their God-shaped imagination. Illustrated by James Koenig.